Ozone For Drinking Water Application - Aqua-Aerobic Systems, Inc. 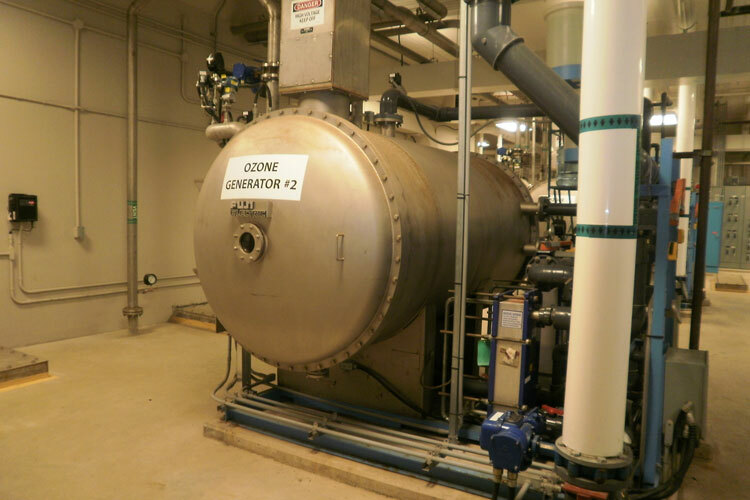 When combined with other treatment technologies in powerful Advanced Oxidation Process (AOP) applications, ozone can oxidize even the most difficult emerging contaminants such as hormones and endocrine disrupting compounds, providing the most formidable defense available today for the water contaminants of tomorrow. Ozone is one of the few treatment approaches to surface water sources threatened by seasonal Harmful Algal Blooms (HABs), which produce toxins such as microcystin that can render even treated water undrinkable for weeks at a time. The Burloak plant is expected to increase its capacity from 55 MLD today to 130 MLD in the near future, with the ultimate capacity projected to increase to 220 MLD in the coming decades. Aqua-Aerobic Systems and the cutting-edge ElectrOzone generator will be there every step of the way.